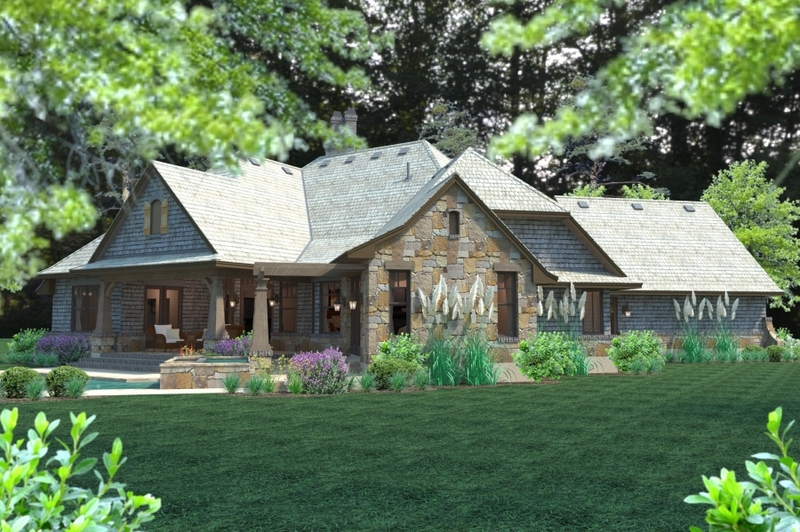 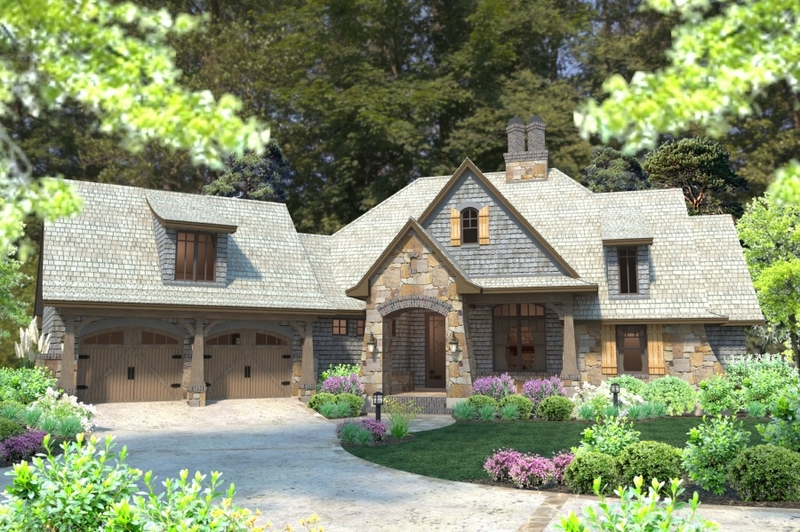 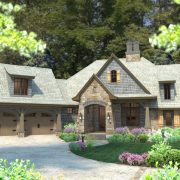 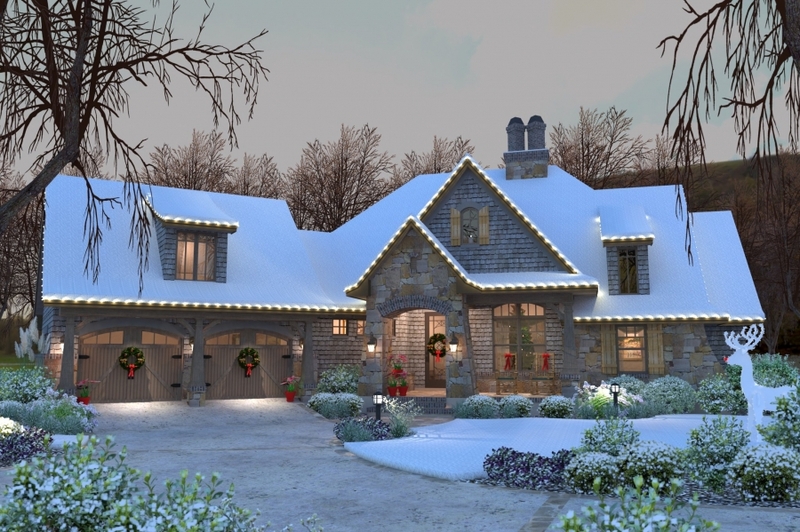 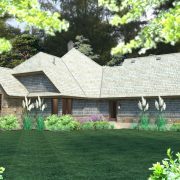 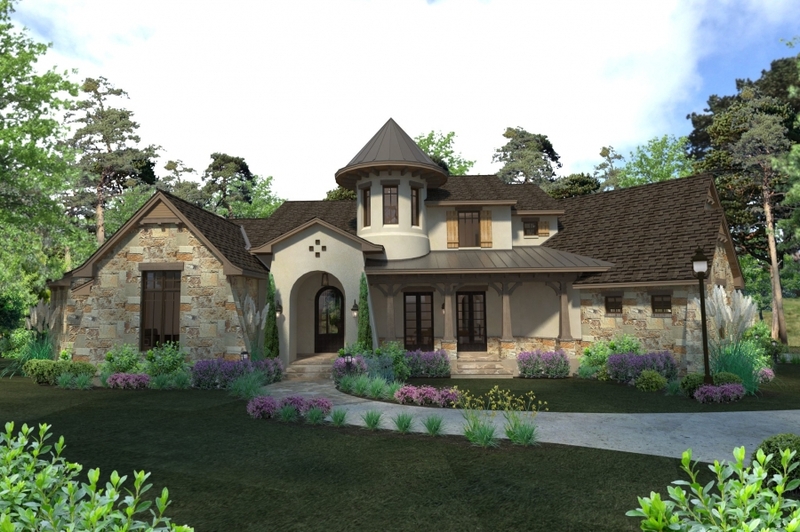 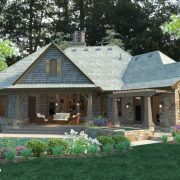 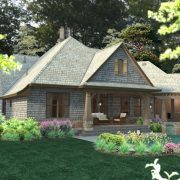 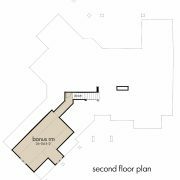 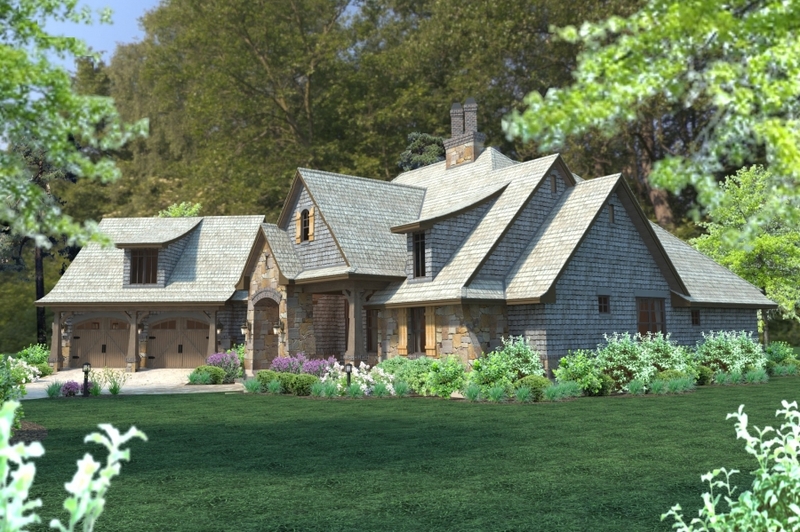 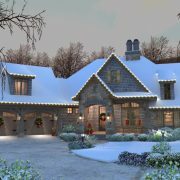 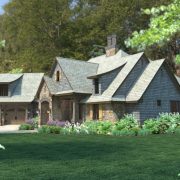 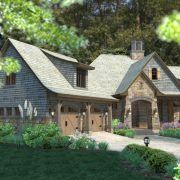 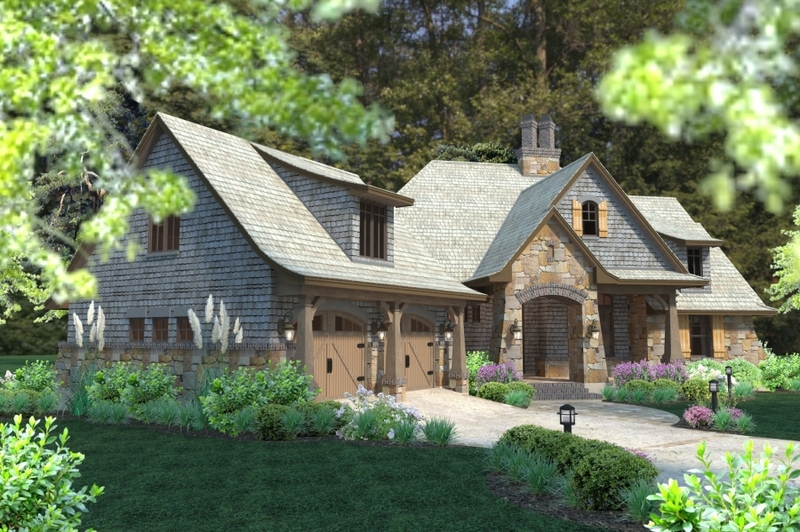 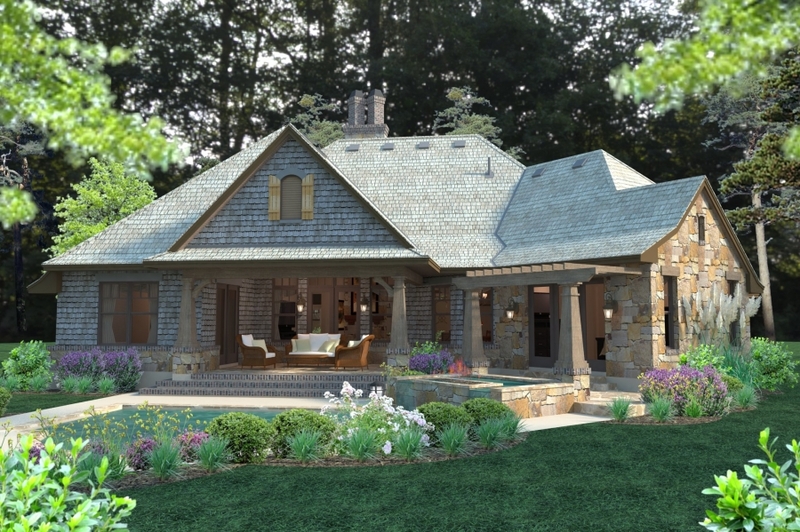 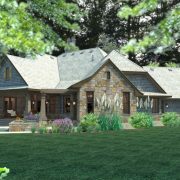 A rustic facade with old world detail invites you into this spacious plan that has everything you need including four bedrooms three and a half baths and a wide open family, kitchen, dining area. 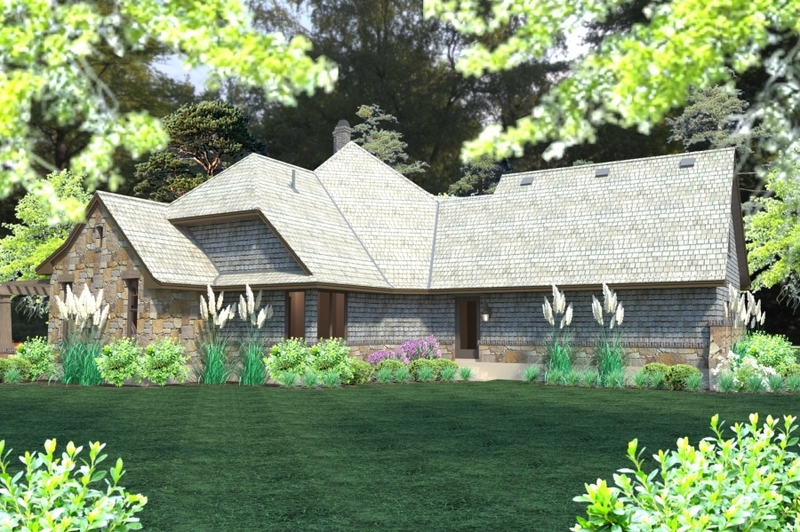 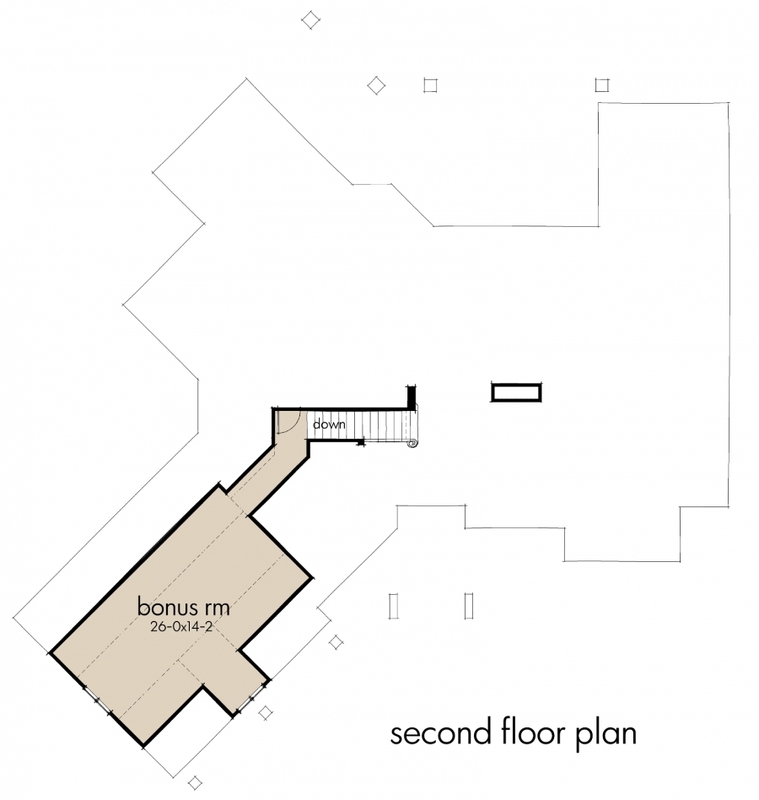 A two-sided fireplace divides the vaulted family and dining rooms. 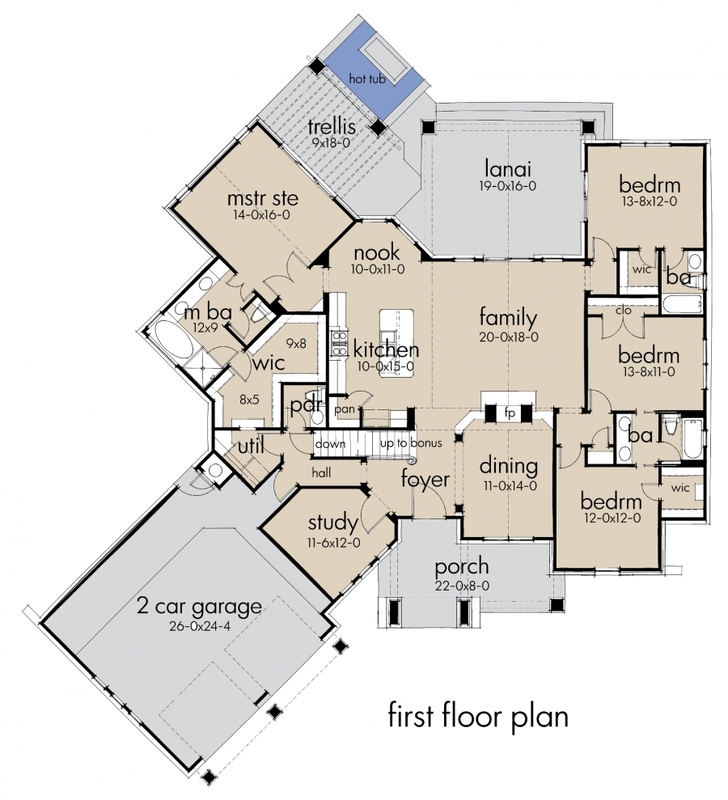 The kitchen has a large eating island for entertaining and a walk-in-pantry. 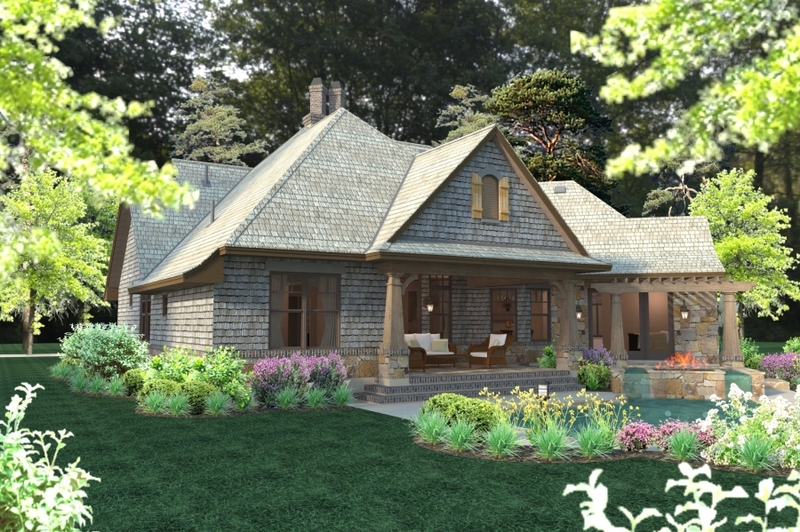 The front two secondary bedrooms share a jack and jill bath while the back bedroom has a private bath. 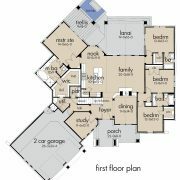 The master bath boasts a large walk-in-closet, garden tub, glass shower and his and hers vanities.